What qualifies you for the worst boyfriend award? How about pushing your girlfriend off of a cliff. 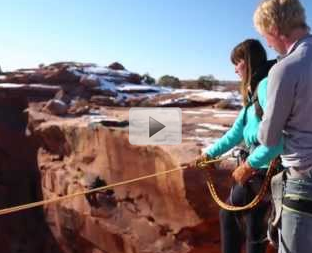 This video shows one boyfriend trying to talk his girlfriend into jumping off a cliff on a large rope swing. But when she panics, he decides to take matters into his own hands.